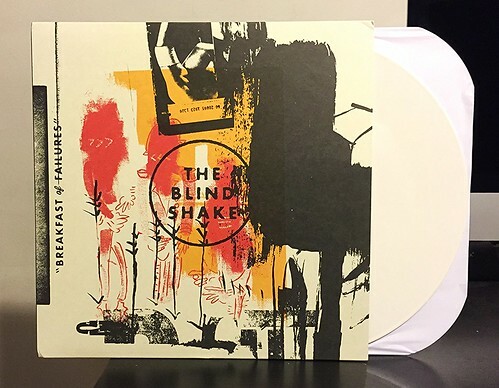 Every time I write something about The Blind Shake I always make mention of how I think it's a little weird that I like them as much as I do. The recording and vocals tend to be blown out and in the red all the time. The songs aren't obviously catchy. But for some reason this band just gets me every single time. Breakfast Of Failures is their latest and it's full of the same sort of chaotic fuzzy blasts of rock and roll. The guitar sound that this band manages to get is just ridiculous. It's just so huge, noisy and powerful. I would say this album is a bit darker than their last, Key To A False Door, but it's every bit as good. This is a band that can pair driving rhythms and howling vocals better than pretty much anyone else and I;m just drawn in by the energy and enthusiasm they manage to capture in their recordings. Also of note, just yesterday it was officially announced that The Blind Shake and John Reis are going to release a surf record together early next year. They also posted a small handful of tour dates. You can bet I bought my tickets to that immediately. Oh, some housekeeping notes. With Thanksgiving looming, I'm going to be taking next week off from writing up reviews. I'll be back with some new records on Monday, December 1st. We'll then begin that December march into the top records of 2014. This year is flying by. I can't wait for the John Reis and Blind Shake record! I'm sure you can't too.